SAN FRANCISCO, CA -- The owners of nearly half a million polluting Volkswagens in the U.S. will have the option of selling them back to the company or getting them repaired at VW's expense, under a deal announced Thursday by a federal judge. The tentative agreement outlined by Senior U.S. District Judge Charles Breyer, however, left many questions unanswered, among them: How much can car owners expect in a buyback? Will they be compensated for any reduced gas mileage and performance resulting from a repair? And how soon could the program start? Breyer, who is presiding over a tangle of litigation created by the VW emissions cheating scandal, said the deal will include "substantial compensation" for owners. But he did not elaborate and warned attorneys in the case not to talk about the continuing negotiations, saying that could cause confusion among customers. 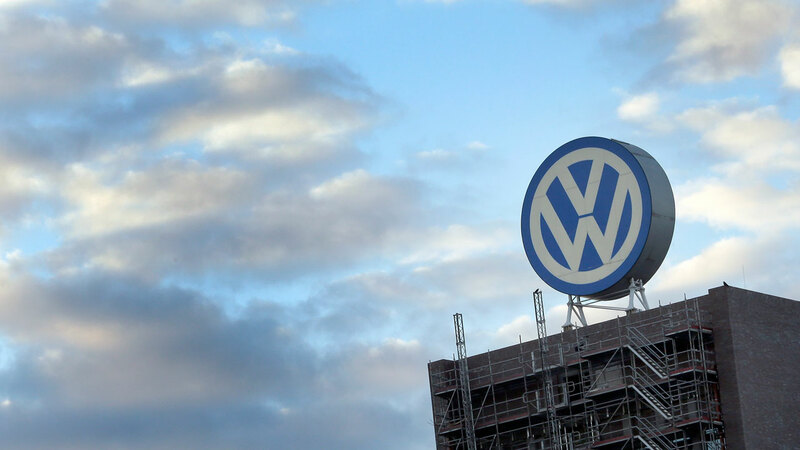 A person who was briefed on the matter but asked not to be identified because the deal had not been made public said Wednesday that Volkswagen would spend just over $1 billion to compensate owners. Elizabeth Cabraser, the lead attorney for hundreds of Volkswagen owners, disputed that figure Thursday but did not offer an estimate of her own. Details of the agreement are expected to come out over the next couple of months. Breyer set a June 21 deadline for attorneys from the U.S. Justice Department and for Volkswagen owners to file additional paperwork about the agreement. After that, owners will get the chance to comment before Breyer signs off on any deal. The scandal erupted in September when it was learned that the German automaker had fitted many of its cars with software to fool emissions tests and had put dirty vehicles on the road. Car owners and the Justice Department sued. "Although it is too soon to tell whether VW owners will be satisfied, and there are still other liabilities that must be addressed, this is the beginning of the end of the story," said Michael Steel, an attorney in San Francisco who has advised car manufacturers. Volkswagen owner Peggy Schaeffer, a North Carolina librarian with a diesel 2010 Jetta SportWagen, said she wanted VW to fix her car when she first heard about the scandal. But the more she hears about potential fixes, the more she prefers the idea of a buyback. Experts say fixing older-model diesels will be complicated and costly and will probably cut their performance and fuel mileage - two main reasons customers bought them. Breyer did not say how the vehicles would be repaired - whether, for example, it would involve a software fix or new hardware. Don Marron, a banker and self-described Volkswagen enthusiast from Allentown, Pennsylvania, who owns a diesel 2012 Jetta SportWagen, said he wants VW to offer him about $5,000 in compensation beyond the cost of any repair. "If the fix turns it into a dog, or it gets 5 to 10 miles per gallon less than it did already, I'm not interested," he said. Volkswagen said in a statement after the hearing that the agreement is "an important step on the road to making things right." The automaker said it "intends to compensate its customers fully and to remediate any impact on the environment from excess diesel emissions." The deal affects the owners of about 482,000 Volkswagens with 2-liter, four-cylinder diesel engines, most of them VW Jetta, Golf and Passat models dating to the 2009 model year. No agreement has been reached yet on Volkswagen, Audi and Porsche diesel vehicles with 3-liter, six-cylinder engines - an additional 90,000 or so vehicles. Breyer said the agreement will include a fund to deal with the effects of the pollution, and Volkswagen will be required to commit other money to promote green automotive technology. The deal does not address potential fines and penalties, Breyer said. In the U.S., the company faces as much as $20 billion in fines for Clean Air Act violations alone, though that will probably be negotiated down. The Justice Department and the Environmental Protection Agency are also weighing potential criminal charges against the company and senior executives. Nor does the agreement settle lawsuits by state and local governments, which are seeking billions from VW. In addition, some Volkswagen dealers have sued over financial losses from diesel cars sitting on their lots that can't legally be sold until the emissions problems are resolved.